Medieval manuscripts written by Arabic scholars can provide valuable meteorological information to help modern scientists reconstruct the climate of the past, a new study has revealed. The research, published in Weather, analyses the writings of scholars, historians and diarists in Iraq during the Islamic Golden Age between 816-1009 AD for evidence of extreme weather in Iraq, including snowfalls and hailstorms in Baghdad. Until now researchers have relied on official records detailing weather patterns including air force reports during World War Two and 18th century ship’s logs. Now a team of Spanish scientists from the Universidad de Extremadura have turned to Arabic documentary sources from the 9th and 10th centuries (3rd and 4th in the Islamic calendar). The sources, from historians and political commentators of the era, focus on the social and religious events of the time, but do refer to abnormal weather events. Reconstructing climates from the past provides historical comparison to modern weather events and valuable context for climate change. In the natural world trees, ice cores and coral provide evidence of past weather, but from human sources scientists are limited by the historical information available. Until now researchers have relied on official records detailing weather patterns including air force reports during WW2 and 18th century ship’s logs. A unique runestone that is the first to mention Norway as a country and that documents the establishment of Christianity there, has been placed on a list of world heritage documents of international importance. The “Kuli Stone” is the oldest object in the newly launched register of Norway’s list of documents to be included in UNESCO’s Memory of the World programme. The programme is an international register of documents that are seen as important aspects of our shared international heritage. The Norwegian version was launched on 8 February 2012 and lists documents that are especially important in Norway’s history and to its cultural heritage. “… twelve winters Christianity had been in Norway”. A DIGITAL interpretation of Newport’s Medieval Ship will help experts piece it back together, a council report says. Newport City Council will apply for a £21,000 grant from the Welsh Assembly Government’s museums archives and libraries division, CyMAL, to fund 3D designs of the 15th vessel. A report to councillors says the project would see a digital reconstruction of the entire ship, based on archaeological evidence, traditional ship building knowledge and historical research. limate scientists have been examining the past environments and archaeological remains of Norse Greenland, Iceland and North Atlantic Islands for several years. They have been particularly interested in the end period of the settlements in the early part of the Little Ice Age (1300-1870 CE) and have been able to analyse how well the Norse responded to changes in economy, trade, politics and technology, against a backdrop of changing climate. They found that Norse societies fared best by keeping their options open when managing their long-term sustainability, adapting their trade links, turning their backs on some economic options and acquiring food from a variety of wild and farmed sources. Researchers say their findings could help inform decisions on how modern society responds to global challenges but also warns of inherent instabilities that do not directly link to climate. In the middle ages, people in Iceland embraced economic changes sweeping Europe, developed trading in fish and wool and endured hard times to build a flourishing sustainable society. 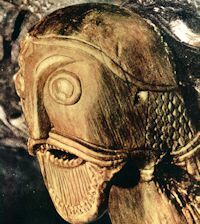 In Greenland, however, medieval communities maintained traditional Viking trade in prestige goods such as walrus ivory. A recent article in the online publication io9, “The First Artificial Sweetener Poisoned Lots of Romans“ provided a (very) brief look at some of the uses of lead (Pb) in the Roman world, including the tired old hypothesis that it was rampant lead poisoning that led to the downfall of Rome - along with gonorrhoea, Christianity, slavery, and the kitchen sink. The fact the Romans loved their lead is not in question, with plenty of textual and archaeological sources that inform us of the uses of lead – as cosmetics, ballistics, sarcophagi, pipes, jewellery, curse tablets, utensils and cooking pots, and, of course sapa and defrutum (wine boiled down in lead pots) – but what almost all news articles regarding the use of lead in ancient Rome seem to ignore is data from osteological evidence. Contemporary medical knowledge allows us to understand that metabolic disorders can be caused by a lack of nutrients: a lack of vitamin C causes scurvy; and a lack of vitamin D can lead to rickets; but they can also be caused by an abundance of something, like too much fluoride, too much mercury, too much arsenic, or too much lead. So what have the Romans ever done for us? FIRST CENTURY AD. The Roman General Agricola reportedly says he can take and hold Ireland with a single legion. Some archaeologists have claimed the Romans did campaign in Ireland, but most see no evidence for an invasion. Imperial Rome and this island on its far western perimeter did share interesting links, however. The Discovery Programme, a Dublin-based public institution for advanced research in archaeology, is to investigate Ireland’s interactions with the empire and with Roman Britain, aiming to fill gaps in the story of the Irish iron age, the first 500 years after the birth of Christ. Ancient peoples around the world seem to have designed their sacred spaces not only for ceremonial sights, but for ceremonial sounds as well, archaeologists say. In Peru, for example, a 3,000-year-old Andean ceremonial center's design was optimized for the blare of a priest's conch-shell trumpet. In Mexico, the Chichen Itza temple site features a staircase that can make hand claps sound like the chirp of a quetzal bird. And one of the best-known ancient monuments of all, England's Stonehenge, has a layout that's acoustically pleasing as well as astronomically significant. The big question is, did ancient societies really have acoustics in mind when they built their monuments? The Neolithic period, around 10,000 BC in the Middle East, a time when the nomadic economy became permanent, founded on farming and breeding, could have arrived on the Iberian peninsula through a third route of expansion - North Africa. This is according to a study carried out by the Autonomous University of Madrid, the University of Seville and the Higher Council of Scientific Research (CSIC) and other Spanish, Portuguese and American universities. The study has been published in the journal "Quaternary Research". Until now, two routes had been traditionally accepted: one identifying a first expansion of the northern margin of the Mediterranean sea, and the second, by sea, which reached the Balearic islands from Cyprus. The new research, though, highlights a third route from North Africa, which would identify the Neolithic characteristics that are found in the south of the Iberian peninsula. Archaeologists excavated the tombs of men, women and children, some of which showed signs of past intrusions. 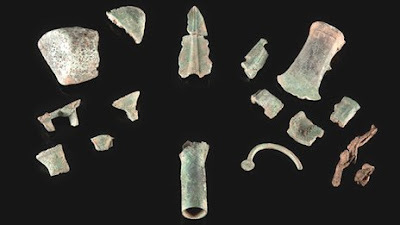 Spears, swords, knives and bags containing coins and other iron objects were found in the men's tombs while combs and clips were found in the women's. 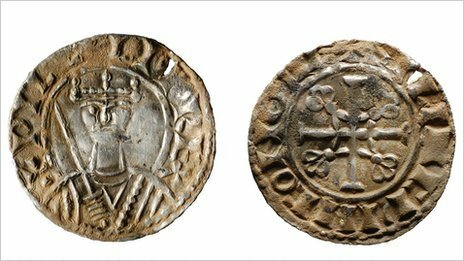 A "unique" medieval coin from the reign of William the Conqueror has been discovered in a field near Gloucester. The hammered silver coin was found by metal detectorist Maureen Jones just north of the city in November. Experts from the Portable Antiquities Scheme said the find "filled in the hole" in the dates the Gloucester mint was known to have been operating. The coin, which dates from 1077-1080, features the name of the moneyer Silacwine and where it was minted. The Portable Antiquities Scheme said that until the coin was discovered, there were no known examples of William I coins minted in Gloucester between 1077-1080. The discovery of Roman gold and silver coins on farmland in Suffolk suggests "relatively high status people" lived in the area, an archaeologist has said. Fifteen silver coins and one gold coin were found by a father and son on farmland, near Mildenhall, on 12 October last year. A treasure trove inquest in Bury St Edmunds heard they dated to between 355 and around 402. Coroner Dr Peter Dean recorded the discovery as treasure. From 1347 to the late 17th century, Europe was stalked by the Black Death, yet art not only survived, it flourished. So why are modern Europeans so afraid of epidemics? The age when European art rose to glory was an age of disease and death. 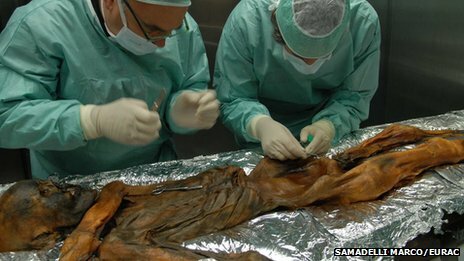 In 1347 the Black Death – probably bubonic plague – was brought by a Genoese ship to Sicily. In the next few years, it is estimated to have killed about a third of the entire population of Europe. Some cities, such as Venice, lost more like 60% of their people. The Renaissance was just getting started, and the plague, too, was at the beginning of its reign of terror. The Black Death was more than a medieval explosion of horror: it kept coming back. For the next 300 years and longer, plague became a regular part of life – and death – in Europe. Terrible outbreaks periodically devastated cities. One of the very last, and most terrifying, of these plagues hit London in 1665 and is described in chilling detail in one of the first historical novels, Daniel Defoe's A Journal of the Plague Year. A new project from King’s College London and the University of Winchester will allow researchers to explore the lands of medieval England as never before has received over half a million pounds in funding. The three-year project is led by medieval historian Professor Michael Hicks at Winchester, and Paul Spence, Senior Lecturer at Kings’ College London’s Department of Digital Humanities. 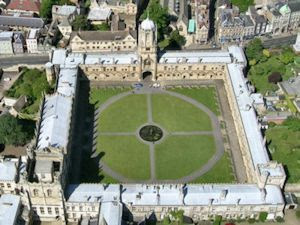 It will digitise hundreds of years worth of records showing the land held by tenants at the time of their death. The ‘Mapping the Medieval Countryside: The Fifteenth Century Inquisitions Post Mortem’ project has been made possible by a £528,000 grant from the Arts and Humanities Research Council (AHRC). Forget roses, chocolates and candlelight dinners. On Valentine's Day, that's rather boring stuff -- at least according to ancient Roman standards. Imagine half-naked men running through the streets, whipping young women with bloodied thongs made from freshly cut goat skins. Although it might sound like some sort of perverted sadomasochistic ritual, this is what the Romans did until A.D. 496. Mid-February was Lupercalia (Wolf Festival) time. Celebrated on Feb. 15 at the foot of the Palatine Hill beside the cave where, according to tradition, the she-wolf had suckled Romulus and Remus, the festival was essentially a purification and fertility rite. Rome - Heavy snow has caused extensive damage to the mediaeval walled town of Urbino and further deteriorated the Colosseum in Rome, already badly in need of repair, Italian newspapers reported on Tuesday. Partial collapses have been reported at the convents of San Francesco and San Bernardino in Urbino and the roof of the Church of the Capuchins outside the town centre has completely caved in, La Repubblica reported. There is also water damage in the town's 12th-century Duomo cathedral. Gallagher Group have helped preserve some Roman walls dug up by archaeologists – by burying them again. After being recorded by Maidstone Archaeology Group, the walls of the Roman building near East Farleigh were due to be back-filled anyway, but fears they could be damaged by frost meant the job needed to be done quickly. The Maidstone-based building, civil engineering, quarrying and property business provided a digger and staff for a day to get the job done. 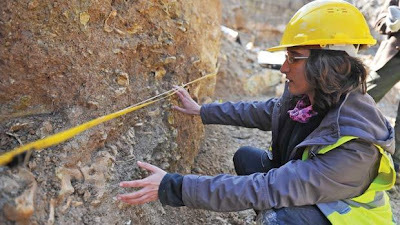 Bulgarian archaeologists surveying the route of Nabucco gas pipeline uncovered about 130 archaeological sites, Novinite Sofia News Agency reported with the reference to Bulgaria's National Archaeological Institute. Nabucco gas pipeline is one of the Southern Gas Corridor projects, which is designed to transport gas from the Caspian region and Middle East to the European countries. According to the Bulgarian Institute's Director Lyudmil Vagalinski, the surveying of the 420 km Bulgarian section of Nabucco has been carried out under a special GIS (Geographical Information System) technology. He said that based on the data collected by the archaeologists, there will be excavations along the route of the Nabucco pipeline. THE annual Jorvik Viking Festival swung into action with a skirmish in York city centre. Viking characters wearing battle attire took over Coppergate to help start the popular festival, which is expected to attract 40,000 people. This year marks the 27th festival and will feature more than 80 events culminating in a ferocious battle before the Festival Of Fire climax featuring fire jugglers, a firework display and the burning of a 60ft-longship on Bustardthorpe Field at York Racecourse on Saturday. Fire crews worked for 12 hours to save a 900-year-old Oxfordshire church from going up in flames on Sunday. Firefighters were called to St Mary the Virgin Church in Charlbury at 12:00 GMT as plumes of thick smoke were coming from the church roof. They were forced to saw through the roof in order to create a fire break to stop the flames spreading. Arson has been ruled out as the cause of the fire. The fire service said the church was empty at the time. A fire has significantly damaged the 12th Century St Mary the Virgin Church in Charlbury, Oxfordshire. The death of a Newark Castle custodian who swallowed weedkiller after his collection of artefacts was removed is being marked by an exhibition. John Mountney who died in 1912, was the second custodian of the Nottinghamshire castle and spent years collecting items to illustrate the history of Newark. In a dispute with the council, the castle's owners, Mr Mountney lost the collection and was left "heartbroken". Roadwork excavations in Marsa have revealed the archaeological remains of a Muslim cemetery dating back to 1675, confirming historians’ belief of the existence of a Turkish slave cemetery in the area. The find is being documented and excavated by the Superintendence of Cultural Heritage and an archaeologist specialising in documentation of human remains is closely following the investigation. The roadworks have been temporarily halted on the relevant sections until the preservation works are complete. More details have emerged about the archaeological find of Roman ruins at a spot near Bourgas on Bulgaria’s Black Sea coast – including the fact that they have been found before and funding already has been allocated to investigate them. The ruins emerged after huge seas scoured the Black Sea coast earlier in February 2012, prompting speculation whether this represented a hitherto unknown Roman settlement or just a small sewerage or sanitation installation. Bourgas mayor Dimitar Nikolov went to see for himself and trumpeted the find, which hit national headlines amid the bitter winter weather chaos. 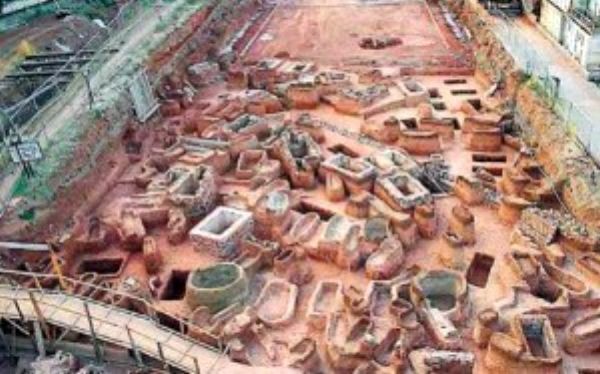 But it turned out that the existence of the ruins was well-known to archaeologists and 120 000 leva (about 60 000 euro) already had earmarked to investigate the site. ARCHAEOLOGISTS have unearthed the remains of a medieval burial ground at St Giles’ Church in Pontefract. Ten medieval graves were unexpectedly discovered during ongoing building works at the site. Archaeologists from West Yorkshire Archaeological Services (WYAS) also uncovered the foundations of what is believed to have been the earliest church to occupy the Market Place site. Ian Roberts, archaeologist overseeing the work for WYAS and the Wakefield Diocese, said: “Churches invariably preserve some of the earliest medieval archaeology in our historic towns and it is only occasionally that the opportunity arises to investigate, evaluate and record the evidence that survives. The Great Altar of Pergamon, a sculpted frieze dating from the 2nd century BC and one of Berlin's top tourist attractions, will be closed for repair work from 2014, the museum said Tuesday. The Pergamon Museum -- which opened to house the Ancient Greek masterpiece in 1930 on Berlin's renowned Museum Island -- will undergo a complete renovation in several phases, between October of this year and 2019. "Preliminary restoration work in the Pergamon Hall will likely begin in May 2014," the state cultural authority said in a statement. We are pleased to announce that the post-excavation reports for Series 18 (first broadcast in 2011) are now available to read online or download via our Time Team Reports page. This year, since Channel 4 have reorganised their Time Team website, we have also linked to the episode pages on the Channel 4 website. There it is possible to view the episodes themselves. Just click the "Watch now on 4oD" link underneath the site summary. Wessex Archaeology are responsible for making sure that all Time Team’s trenches are properly recorded, using standard techniques, and that a report is compiled at the end of the dig, to present the results. We work closely with the people carrying out the site survey, the geophysical survey and the landscape survey, all of whose results are incorporated in our reports. The Vikings are both famous and notorious for their liking of beer and mead and archaeologists have discussed for years whether Eric the Red (ca 950-1010) and his followers had to make do without the golden drink when they settled in Greenland around the year 1,000: The climate was mild when they landed, but was it warm enough for growing barley? Researchers from the National Museum in Copenhagen say the answer to the question is ‘yes’. In a unique find, they uncovered tiny fragments of charred barley grains in a Viking midden on Greenland. The find is final proof that the first Vikings to live in Greenland did grow barley – the most important ingredient in making a form of porridge, baking bread and of course in brewing beer, traditionally seen as the staple foods in the Vikings’ diet. 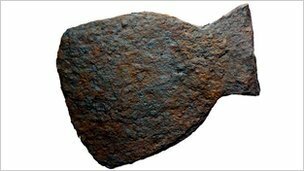 An axe head found in a garden in Gloucestershire, which was claimed to be of Viking origin, is an 18th Century woodworking tool, experts have said. It was found in 2008 by Ian Hunter Darling under a hedge at his home in Slimbridge. Slimbridge Local History Society who said last week it was Viking have now renamed it the "Slimbridge axe head". A meeting about the find is taking place in Slimbridge on 21 February. Greek Macedonians discovered a valuable treasure hidden in the bowels of the earth, thanks to the methodical excavations undertaken in the construction of the Thessaloniki metro. Many artifacts found in the excavation, from items such as gold hoops, benches, and thousands of everyday objects, up to whole churches, remnants of the glorious, long history of Thessaloniki, have come to light. The excavations were completed by the end of the year, leaving behind thousands of “mosaics” of cultures that flourished in the city. NEW details about the rich history of Britain’s biggest county have been made available to for all to see. The clues to the past have been unearthed by local archaeology groups around North Yorkshire and have now been published on the internet. More than 2,500 newly recorded archaeological sites - and new information on many previously known sites - have been posted by the county council in the online North Yorkshire Historic Environment Record. This year's speakers include Catherine Ferguson (University of Sussex) on the Loseley manuscripts and Tudor power, Robert Davies (Surrey Wildlife Trust) looking at the revised Ancient Woodland Survey for the county. Rob Poulton (SCAU), Nick Branch (Reading University) and Richard Savage (Surrey Archaeological Society). Surrey Heritage is well represented including David Williams discussing recent Portable Antiquities Scheme finds. To apply for tickets, please write to Emma Coburn, Surrey Archaeological Society, Castle Arch, Guildford, GU1 3SX, please enclose an SAE. Treasure hunters and looters have been plundering a Byzantine cemetery and the İnceğiz caves in Istanbul’s Çatalca district for many years, despite the area’s recognition as a protected archeological site of the first degree. “Grave diggers have swarmed into the region when the excavation work in the cemetery came to an end in 1995 upon the order of the Archeology Museum. Unlicensed excavations take place inside the graves that were carved into stone, after [the looters] break the stone lids. History is being destroyed,” said Ahmet Rasim Yücel, the head of the Çatalca Culture and Tourism Association. Despite constant patrols by gendarmerie forces, controls are still lax because the area in question is too wide, according to Çatalca District Gov. Nevzat Taşdan, who also complained about the lack of means available to them in combating treasure hunters, the daily Akşam reported. KEEN historians can learn more about the latest local archaeological excavations in Wirral at a talk being held next week. The Friends of Greasby Library will host a lecture by local historian Rob Philpott who will describe how finds in a garden in Irby shed new light on settlements in the area from the Bronze Age to the arrival of the Vikings. Roman pottery was discovered by chance, providing new evidence to link the earliest inhabitants of Wirral with later Scandinavian settlers. And the beginnings of human settlement in Wirral have been dated to the Mesolithic period, following finds in the early 1990’s at Greasby. Over the next few weeks, people walking across the Romerberg on their way to the Emperor's Cathedral will automatically find themselves facing a gigantic construction site. What's happening here in the heart of Frankfurt's old town, passers-by may ask. It is, simply put, one of the most controversial and, at the same time, one of the most spectacular reconstruction projects currently going on in Germany. 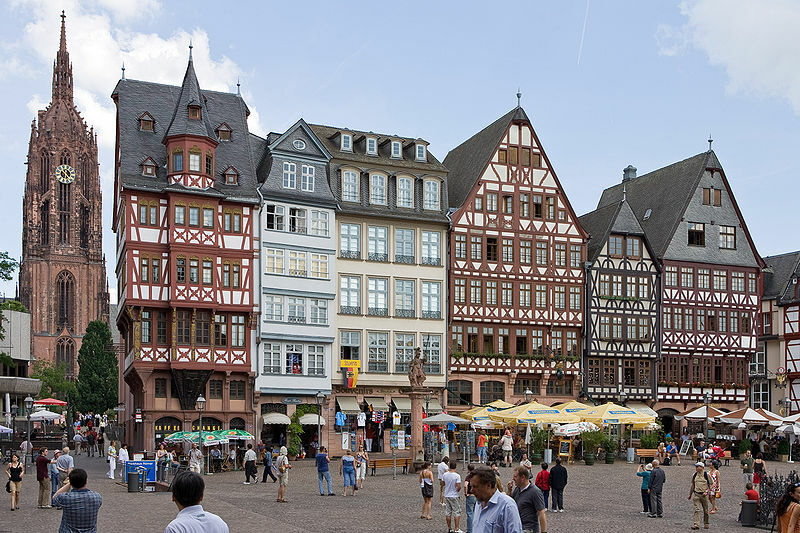 While other cities squabble over the reconstruction of individual buildings, Frankfurt am Main has been discussing the reconstruction of an entire quarter. The chronology of the steps it took to bring the project to fruition says much about the general state of mind of Frankfurt's citizenry, for it was they that helped to bring about what the casual observer might call the obvious solution. But the influence exerted by Frankfurt's inhabitants is not surprising, really. After all, the city has been referred to as the "cradle of German democracy" since the landmark events of 1848. AN archaeological survey carried out on a former grain silos site near Lynn’s South Quay should help to fill gaps in knowledge of that part of the town’s historic core, an expert says. Dr Ken Hamilton, senior historic environment officer with Norfolk County Council, said the recent dig at the former Sommerfeld and Thomas site, between South Quay and Millfleet, had uncovered medieval deposits and what appeared to be a series of 18th century surfaces, like cobbles.